The general consensus abroad seems to be that Japanese cinema really only began in earnest during the 1950s, when films such as Akira Kurosawa's Rashomon (1950), Kimisaburo Yoshimura's A Tale of Genji (Genji Monogatari, 1952), Kenji Mizoguchi's Ugetsu (Ugetsu Monogatari, 1953), and Teinosuke Kinugasa's Gate of Hell (Jigokumon, 1953) were first unveiled to a wider world. In reality, the Japanese film industry began shortly after the new medium was born at the tail end of the 19th century, yet still hardly anything has been written outside of Japan on the subject of pre-War Japanese cinema (an obvious exception being Anderson and Richie's The Japanese Film: Art and Industry, first published in 1959). The obvious reason for this is that these films are virtually impossible to see. With one of the lowest survival rates in the world, the embryonic development of the nation's cinema is a difficult area to chart and many important works of this period including early films by important directors including Daisuke Ito, Yasujiro Ozu and Kenji Mizoguchi are now unfortunately considered to be irretrievably lost. The National Film Center still lists only around seventy titles made in Japan before 1930 in their collection, yet it has been estimated that around 7000 were produced in the 1920s alone. Some were carelessly misplaced by the studios that produced them, a great number were destroyed in the chaos of the Kanto earthquake in 1923 and still more of the country's cinematic legacy went up in smoke either in the conflagration of the bombing raids during the Pacific War or in its immediate aftermath under the Allied Occupation where films that fell under a list of 13 forbidden subjects (the most serious offence being 'feudal loyalty') sketched up by the Supreme Commander for the Allied Powers' Civil Information and Education Section were banned outright. In spring 1946, a match was put to all films deemed unnecessary to be kept for further analysis and a large chapter of cinematic history has been lost in the ashes forever. That any films do remain from this period is largely down to the work of one man, Shunsui Matsuda. Born in 1925, Matsuda began his vocation working as a child benshi. In 1947, when post-war shortages meant there really weren't a lot of films being shown in the more provincial areas of Japan, he found himself part of a troupe of itinerant benshi travelling around Kyushu, whose burgeoning coal mining industry had attracted a lot of workers to the region. The desperate shortage of any means of entertainment in the area meant that reruns of old silent films were still immensely popular. The story goes that Matsuda discovered one of the projectionists snipping out footage from one of these films because it "dragged the film down", and thereupon decided to dedicate his life to the act of preserving these early cinematic documents. During the 1950s Matsuda was appointed president of the Friends of Silent Films Association, dedicated to the appreciation of Japanese silent cinema and keeping alive the benshi tradition of the katsuben silent film narration. He continued to give performances all the way up until his death in 1987, also producing Bantsuma - Bando Tsumasaburo no Shogai (Bantsuma - The Life and Times of Tsumasaburo Bando) in 1980 and his own silent film, Jigoku no Mushi (Maggots of Hell) in 1979. Matsuda Film Productions, the company he founded, still runs regular narrated screenings of silent films in Tokyo, and not only Japanese ones, but also classics by such notables as Friedrich Murnau and DW Griffiths. Outside of Japan however, aside from sporadic festival screenings of Teinosuke Kinugasa's A Page of Madness (a pretty atypical work from the period), Japanese silent film remains virtually an unknown entity. One company dedicated to changing all this, in conjunction with Matsuda productions, is Urban Connections, whose fascinating book The Benshi: Japanese Silent Film Narrators provides the best English-language introduction to the subject there is. For those that wish to dig deeper, the same company have also put out an incredibly informative Japanese/English bilingual DVD-Rom entitled Masterpieces of Japanese Silent Cinema (PC only - there's no provision for Mac users, unfortunately). Admittedly, at 18,000 Yen, the cost of this product is going to keep it from the hands of most people, though with the Yen at its current low rate, it's perhaps a little less painful on the wallet than it could have been. However, I think its fare to say that with essays from a number of prominent Japanese critics and film historians and a searchable database with information, credits and images on around 12,000 titles, it represents the most complete resource there is on the subject. 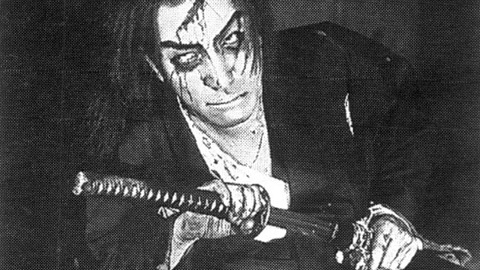 However, the package's greatest strength is the footage included from 45 of these films, all accompanied by a recorded benshi katsuben (narration), mainly from Midori Sawato, the leading practitioner of this unique narrative art form still active today, or Shunsui Matsuda himself, but sometimes from some of the major benshis of the era such as Shiro Otsuji. These resources reveal that the approach taken by various benshis differed radically in style and approach. The footage from the films included here are a fascinating selection, not only jidai-geki period swashbucklers such as Kageboshi, Noble Thief of Edo (Edo Kaizokuden Kageboshi, 1925) or Sakamoto Ryoma (1928), but also contemporary set melodramas, such as Mother's Milk (Chibusa, 1937) and a fragment of Ozu's lost I Graduated, But... (Daigaku wa Detakeredo, 1929). Of particular interest are the portions of the early animated piece of war propaganda, Private Norakuro (Norakuro Gocho, 1934), Heinosuke Gosho's 1933 adaptation of Yasunari Kawabata's The Izu Dancer (Izu no Odoriko), and Junsuke Sawata's The Missing Ball (Mari no Yukue, 1930), in which the social class inequalities of the Taisho era are analysed via means of a girls high school athletic meeting. Impressive as this package is however, it can't hope to do full justice to the full blown experience of a live benshi performance. I was recently lucky enough to catch one such of these delivered by Midori Sawato in Tokyo, accompanying two films from Nikkatsu's early Mito Komon series of jidai-geki, directed by Ryohei Arai; Mito Komon: The Story of Raikunitsugu (Mito Komon Raikunitsugu no Maki, 1934), Mito Komon: The Secret Letter (Mito Komon Missho no Maki, 1935), and a 15-minute fragment of what remains of Tomiyasa Ikeda's Yaji and Kita - Yasuda's Rescue (Yajikita Sonno no Maki, 1927). First I'd like to ask you how you became a benshi. In 1972, I saw the silent film The Water Magician [Taki no Shiraito, dir. Kenji Mizoguchi, 1933] and was very impressed. A man named Shunsui Matsuda was the benshi for that showing. I ended up becoming his pupil. I'd always been a big fan of old films, so I thought that working as a benshi - someone who provides the narration for silent films - would be very fulfilling for me. I love silent movies so much! In Japan now, are there still many people who are aware of the katsuben phenomenon - that silent films in Japan were regularly shown with a spoken narration accompaniment? In the past people did know, and now there are still many elderly people who know about it, but among people in their forties or younger... Well, probably even among people in their fifties or younger, most people don't know about it at all. I spend a lot of time thinking about what would be the best way to make those people more aware of the benshi. There was a film directed by Kaizo Hayashi in 1986 called To Sleep So As To Dream (Yume Miru yo ni Nemuritai") in which Shunsui Matsuda actually appeared doing a benshi commentary, and that you appeared in as well. Do you think that film helped to promote or advertise the benshi at all? Well, the film itself is about nostalgia really, but I do think it also helped to spread awareness of the benshi. Regarding the film's final scene in the denkikan film theater, I was wondering if that was an accurate reconstruction of what an original benshi performance would have been like. I don't think it reconstructed the era perfectly, but much of it was accurate. In the past there really were many varieties of theaters (katsudo shashinkan). The sizes and numbers of benshi working varied from theater to theater, so it's hard to say what would have been "standard" at the time. However, I do think that final scene in the katsudo shashinkan had many elements from what the theaters of the time really were like. I can't say it was 100% accurate, but I think it was very close. How many benshi are currently in operation in Japan? Actually there's probably not even that many. Several people, at the most. What exactly is your relationship to Matsuda Productions? They work as a film archives, but you're not involved in the archiving, just the promotion? I am a benshi based at Matsuda Productions. I do many different things: performances within Japan, even performances in foreign countries. I've gone overseas for performances more than 10 times now. In fact I'm going to the University of California at Berkeley this September. Right now I do pretty much all of the work that comes into Matsuda Productions. Can you give me some background on how the benshi began in Japan? Well, in 1896 Edison's Kinetoscope came into Japan. Following that was the Lumiere brothers' Cinematograph. This technology arrived around Meiji 29 or 30 - that is, 1896 or 1897. When that happened, there was a need to explain the foreign films, or katsudo shashin [moving photographs] as they were called - the Cinematograph, Kinetoscope, Vitascope - in simple terms to the Japanese audience. All of the films were of foreign scenes and settings, so someone had to explain to the audience what a movie is, what film is, what the images are of and so on. People were being charged to watch, so it would be have been rude to the audience if they couldn't understand what they were seeing. The benshi were born out of that need. In addition, in Japan there is an old tradition of spoken performance arts like rokyoku, gidayu and rakugo. The benshi weren't born out of the need for an explanation alone, but also from this tradition and the love of spoken performance arts that the Japanese held within them. I believe those two reasons together are what led to the development of the benshi. A lot of western writing on the benshi focuses on the 'traditional' element, and as a reader, before I saw my first film - or heard it, rather - on video with a katsuben, I always had this idea of it being very much like kabuki, with this sort of chanting kabuki style of speaking. I thought a lot of writing was quite misleading in that regard. When I did hear a benshi performance, it was almost like an energetic sports commentary. It was much less formal than I expected. With a film it becomes a little lighter and a bit more, how should I say, rhythmical. The benshi style of talking can also include aspects of kabuki, gidayu and storytelling (kodan), so it does contain a variety of traditional Japanese elements as well. In the early period of Japanese film there were many movies that depicted the kabuki stage as is, or just filmed a play performance. These were called jissha ["true to life"] film. Stories of heroes like Minamoto no Yoshitsune that were performed as a kabuki plays, or Shibukawa Bangoro - these were filmed as is. So that influence did exist, and while the benshi didn't just copy that, they did borrow and mix such elements within themselves in order to create their own performance styles. Was there an equivalent to the benshi in other countries at the time? In the early days of cinema when they were screening the sort of newsreel footage in other countries, would there not have been a commentator to explain what was going on as well? To go back to what I was saying about America, there were many immigrants from different places then. Apparently they would have narrators at screenings that would read the film intertitles for the sake of people in the audience who weren't yet used to English. Or actors would be speaking from behind the screen, I believe. According to what I heard from Frances Loden of Berkeley, who came to Japan to do research on the benshi, there is even a book written on the subject of film explainers in America. So as you say, in the early years of film there were narrators explaining the films around the world... well, I can't say everywhere in the world, but they did exist in many places. In Japan though, at the peak of the benshi era there were more than 7000 benshi in Japan, and they were active over a period of 30 or 40 years. Japan is the only place in the world where the benshi became such a big popular attraction. In that sense it is a somewhat unique phenomenon. Yes, because I understand in Japan as well the means of distribution was very different and that the Denki-kan theater was purpose-built (in 1903) only to show films, whereas in other countries films were initially shown as a sort of adjunct to other activities, so they'd be shown in carnival fairs and so forth. They did have specialty theaters fairly early on even in America though. While at first there would only be one person at a time looking at the Kinetoscope, they did start to show more and more films on screens after that. Two men named Harris and Davis made the first exclusive movie theater in Pittsburgh in 1905, the Nickelodeon. In Italy too they had theaters made specifically for films. At first it was entertainment for the working class that high society looked down on, but as cinema advanced the producers knew that it could attract a more varied audience, and so theaters started to develop. I think I see what you mean, but there were places like the Japanese theaters (josetsukan) very early on as well. It seems that the earliest fictional kabuki adaptations were shot without any cinematic device at all. When did cinematic techniques start to be used in Japan? When did cinema become a bit more removed from theater? There are many different explanations, but one theory attributes it to a short film called Armed Robber: Shimizu Sadakichi (Pisutoru Goto Shimizu Sadakichi, 1899), which was based on a real-life event. Some say that this was the first geki eiga. Others look to the films made by producer-director Shozo Makino in Kyoto, who's known as the father of Japanese film. He filmed stories that were well known through kabuki and kodan, with actors like Matsunosuke Onoe. They weren't using close ups and cutbacks like Griffith, and the camera was pretty much left in one place, but you could say that they were geki eiga, filming fictional stories instead of simply live scenes. Many think that Shimizu Sadakichi was the first film to do this, but it's hard to be sure. Up until this period in Japan were there more foreign releases or domestic productions? There were more foreign films then. Lumiere and Edison's films, and films from Italy and France... Towards the end of the Meiji period a French film entitled Zigomar (dir. Victorin-Hippolyte Jasset, 1911) was imported but then banned. Zigomar was about a thief, and Japanese children would watch that and want to imitate him, playing thief. It was said that this had a negative effect on their education. At any rate, in the early period of film in Japan, there were more foreign films than Japanese films. But after the end of the Meiji period and into the Taisho period Japan struggled to catch up. Nikkatsu's Kyoto and Mukojima studios were built, later Shochiku, and Makino had been around for a while. Different studios were established, and from the Taisho to Showa period films were being mass-produced in Japan. In the old katsudo shashinkan the film program would change about every week, so they had to make a lot of films to keep up with that schedule. At the start western films were dominant, but then Japanese filmmakers absorbed the foreign films, learning technical matters and other things from them, and from the Taisho to Showa periods many high quality films were being made. Moving on from film history, it was assumed with the benshi that films would have a katsuben commentary. Would it have been possible to understand the films without the katsuben? Every benshi obviously added their own interpretation to the films, but would the film as a product stand alone? That's a really good question, but again very difficult to answer. At the time - and even now - there were very few people in Japan who could read English, French or German, so a lot of people couldn't understand the intertitles in foreign films. They didn't have translation subtitles of the sort we see in films today. Back then foreign films were just shown as is, and if you couldn't read the titles you probably couldn't understand two-thirds of the story. For those sorts of films, the benshi were necessary. On the other hand, many Japanese films were made from stories everyone already knew, for example hero adventures like Sarutobi Sasuke or Kanjincho, a popular kabuki story about Yoshitsune trying to escape from his older brother. The average person in Japan would have already heard these, so strictly speaking they probably would understand what was going on if they just saw the film. However, most people wouldn't have been satisfied with that. The audiences also wanted to enjoy the performance, not just understand it, and so they wanted someone who could explain the stories in an interesting, funny way. Viewers could understand the pictures, but the issue isn't simply about intellectually understanding what was going on but also about enjoying the entertainment, with a narrator in a live performance. They even had live bands playing with the films. I understand very well what you're saying, and strictly speaking perhaps the benshi weren't necessary for some films, but the average viewer wouldn't have been satisfied without them. However, there were some young Japanese at the time who complained that Japanese films were "old-fashioned" compared to foreign films. For example, in Japanese love stories the woman would be always be secondary to the man, but in American films the man and woman were much more equal. Also, there was a genre of film called the shimpa higeki, or tragic stories about women. These young viewers argued that Japanese stories like these, with the benshi narration, were behind the times. They looked up to foreign films and argued that Japanese films should depict contemporary life in a more realistic way as well. They also complained about the kowairo voice actors. At first there would be several benshi at film screenings, and different people would "perform" the different voices of the characters in the film. It was something like the dubbing they do for animation today. The benshi didn't always work in groups like this, just in the very early years. By the later half of the Taisho period this started to go out of style. So Japanese film had always been carrying along these traditions from kabuki and shimpa theater, both the good and bad aspects of them. One of the bad aspects was - as those young film fans were complaining - that the tear-jerking stories about kowakare (child separation), tragic women, or heroes were too old-fashioned, and that Japan should make more films based on contemporary reality. Japanese films, with the influence from kabuki and shimpa and the kowairo voice acting, were branded as being old-fashioned. They said that Japanese films should be made more like foreign films. Those are the people who argued that the benshi were unnecessary. They wouldn't have minded if the benshi were just doing a descriptive explanation like they did for western films, but some people really disliked the benshi, kowairo, the Japanese music, and those tear-jerking stories. Norimasa Kaeriyama, for example. That's not quite what you were asking, but there were people like that who protested against the benshi. So on the one hand the benshi were stars and were very popular with the audience, but there was also a group of people who said they were too old-fashioned, and that Japanese cinema should be made with more western-like themes. If benshi were involved, they wanted them to give a more efficient, intellectual performance. Basically, they didn't want them. But on the whole, as I said, benshi were necessary for foreign films, and even with Japanese films the viewers wouldn't have been satisfied with just images alone. Sorry I got carried away with such a long explanation! That's a wonderful film, so avant garde. ...which doesn't seem to be well known inside Japan. It gets shown in America and Europe now with various musical accompaniments, but never a benshi. Do you think that's changing the way it was originally meant to be seen? It seems that it was played with a benshi narration when it was originally released. The famed Musei Tokugawa is said to have performed with that film. Director Teinosuke Kinugasa made that and Crossroads (Jujiro, 1928), films that are both very avant garde. Rather than following a linear story, the films were more about the images themselves, about playing with images. Personally, I doubt that Kinugasa himself would have insisted that A Page of Madness be shown with a benshi. He had taken a lot of influence from avant garde film and foreign art, and various literary figures were involved with the film's production, so it was made influenced by a lot of the most progressive art of the time. It probably didn't matter to him if the audience understood it or not. The audience's reaction to the twisted images and contorted visuals was more important, even if it was a negative response. So I don't think Kinugasa felt he needed someone to explain the film from start to end. At the time the film was shown with a benshi, but now it's shown with live music from a variety of genres. Perhaps that's something Kinugasa would have approved of. A few years ago in Tokyo a group named the Blindman Kwartet played with the film. I was called to that to provide a summary of the story before the screening, but I didn't narrate as a benshi. Instead, once the film started the Blindman Kwartet started playing their music, and it was really exciting. A Page of Madness is set in a mental institution, and the images are crazy too. Put together with that music the viewers really enjoyed it. There were some (but probably not many) directors at that time making such avant-garde films who didn't feel they needed a benshi, and I believe that's what Kinugasa felt about his film. For this film I think presentation without a benshi is just fine. I think it'd be great if they show it more with exciting music too. In fact I think it would probably be very difficult to perform a narration with that film. Now when the films were originally made, did the filmmakers work with the benshi? Did the filmmakers leave guidelines for the benshi to work around, or cooperate with the benshi in preparing the katsuben script? How much of the katsuben commentary is improvised, and how much is scripted? The benshi devise and write their own scripts beforehand, but at times they do ad lib lines during a performance. As the years go by the understanding of a film changes, so occasionally they'll revise the script too. Sometimes a benshi will speak lines that are not in the script, or skip lines that are. It depends on the circumstances, but it's left to the benshi's discretion. In the early days, the benshi were big stars in their own right, and I heard that they were more of a box office draw than the actors. Is this true? Yes, well, how should I put it? For example the katsudo shashinkan would have posters and banners up advertising the films, and the benshi's name would be written bigger than the actors'. "So-and-so's reading of this-and-that film." Some benshi were paid very well and had movie star-level popularity. If you ask why, well, movie stars then were really beyond the audience's reach. Nowadays actors aren't quite so distant, but back then they were very charismatic, often extremely beautiful men and women who were far away from most people's daily lives. On the other hand, the benshi who narrated at these stars' films were literally close enough to call out to. The benshi were very familiar to the audiences, so they were very popular. I've heard a lot of stories about their popularity.... At times popular benshi would use their fame to pick up women and make lots of girlfriends! [Laughs] Sometimes you hear things like that. As I was saying a few minutes ago, the basis of this popularity was that, in the Taisho and Showa periods, before WWI, Japanese people loved beautiful language. They loved hearing the spoken word. For example, "Higashiyama sanjuroppo shizuka ni nemuru ushimitsu toki..." [ 1 ] If you take that literally, there is no sanjuroppo in Kyoto's Higashiyama. But said in those terms it sounds beautiful. It's called bibun, or beautiful prose; taking an embellished style, or speaking in a certain tone. "Aa, sono omoide no haru no tsuki wa, reiho hakusan no yuki o terashi." [ 2 ] When you hear it performed in that style the scene really comes to life. People truly loved that kind of beautiful language. A benshi who could perform like that would be beautiful in the eyes of the audience, even if they didn't have such an attractive face. People would just be intoxicated by their speech and thrilled with the benshi themselves. This love of beautiful words was at the core of the benshi's popularity. The audiences truly enjoyed hearing the words spoken with that kind of musical tone and rhythm. When did the era of the benshi officially end? It was over by about 1937. Even after sound films had started to be made, some companies were still making silent films, and there were still benshi for a while, but I believe they were completely gone by about 1936 or 1937. Right, because in the Matsuda Productions book on the benshi it's mentioned that Shunsui Matsuda was touring Kyushu in 1947 as a benshi. When did he begin, because I heard he was a child benshi? Yes, before the war he was active as a child benshi, and then the war began and he became a soldier. Afterwards he went to the Soviet Union, and when he came back he toured around as a benshi, like you said. He was upset to see film prints being destroyed, so he decided to start collecting film. He established the Friends of Silent Film Association and began to show the films he gathered to paying audiences. In 1952 he founded Matsuda Film Productions. Did they produce any films at all? Matsuda Film Productions made a film called The Insects of Hell (Jigoku no Mushi, dir. Tatsuo Yamada, 1979) and a documentary called The Life of Tsumasaburo Bando (Bando Tsumasaburo no Shogai, 1980). They produced those two. Jigoku no Mushi is a very intriguing title. Can you tell me a bit more about it? The famous director named Hiroshi Inagaki actually made that film a long time ago, but it ran into a lot of problems with the censors. Years later, Shinsui Mastuda and Hiroshi Inagaki were friends, and Matsuda decided to make the film that Inagaki had tried to make earlier. The story is about outlaws who steal money and the internal struggles and problems that develop afterwards. The thieves fall one by one and are finally captured by the authorities. It's really a dark, hopeless story. On to you more personally, how do you go about preparing a katsuben for a film? I watch the film several times then write a script. Also I look into the historical setting and background. Do you have to explain some of the historical and cultural differences to the audience when you show such old films? Yes, I give an introduction before the film starts when I explain what kind of time it was made in and what kind of people the director and actors were. People watching it today might think some of the relationships between men and women seem a bit old, for example, but those were the limitations of the times, and I explain that to the young audiences. Of course old films show things differently than what we see in contemporary life, but that's how things were. When narrating I don't use any modern language or slang to make it easier for people to understand. If the titles are written using older vocabulary, then I try to be consistent and use that kind of language throughout the film. Do you have any personal favorites, of the films you've narrated? Yes... Orochi (dir. Buntaro Futagawa, 1925), starring Tsumasaburo Bando. Also The Water Magician by Mizoguchi. Memories of Mother (Mabuta no Haha, 1931) by Hiroshi Inagaki. Chaplin, Keaton, Griffith, Fritz Lang, Murnau, Maurice Tourneur... There are so many! Finally, in the book there were a lot of fascinating films mentioned, and I'd love to see them. Can you tell me a little bit about the Friends of Silent Film Association screenings? How often do you meet, and what sort of films do you show? There's always one gathering per month in Tokyo, and each time we choose a theme. In May we're showing Mito Komon films, starring Denjiro Okochi. We show many different films, Japanese and foreign. [ 1 ] "Higashiyama sanju roppo shizuka ni nemuru ushimitsu toki..." - Here Ms. Sawato is quoting one of the "famous lines" from benshi Koto Goro's narration of the 1926 Bantsuma Productions picture A Royalist (Son-oh, dir. Seika Shiba). "...[The] 36th peak of the Higashiyama mountain range, at midnight when all is quietly asleep." [ 2 ] "Aa, sono omoide no haru no tsuki wa, reiho hakusan no yuki o terashi." - This is a famous katsuben line from Shunsui Matsuda's reading of Kenji Mizoguchi's The Water Magician (1933). "Ah, the moon on that memorable spring night left a glow of light upon the snow on Mt. Haku." The Matsuda Film Productions book on the katsudo benshi, The Benshi - Japanese Silent Film Narrators, contains descriptions of fifty different silent films and quotes of famous benshi lines from each of them. The book is available in both English and Japanese language versions. There are several other books on the subject in Japanese, with famous quotes, information on theater conditions and details about film releases, although some may be out of print. For two examples, see Kyohei Misono's Katsuben Jidai (Iwanami Shoten, 1990) and Chieo Yoshida's Mo Hitotsu no Eigashi: Katsuben no Jidai (Jidai Tsushinsha, 1978).